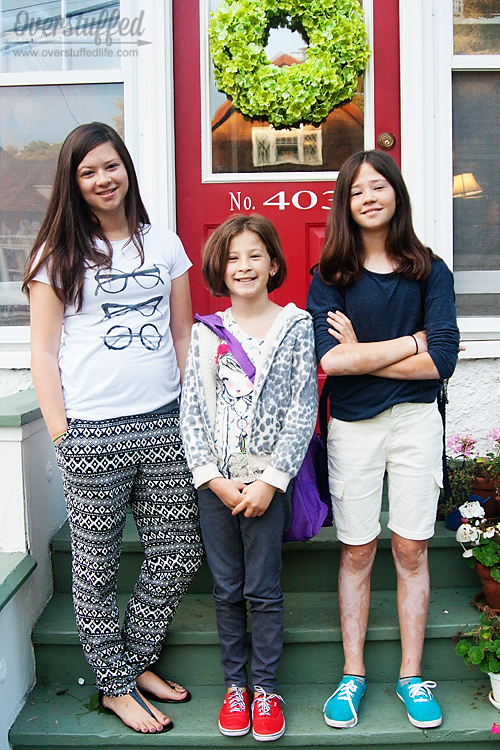 Yesterday was our first day back to school. Here's a sneak peek of my girls before they left for the day. Aren't they just adorable? And too grown-up. 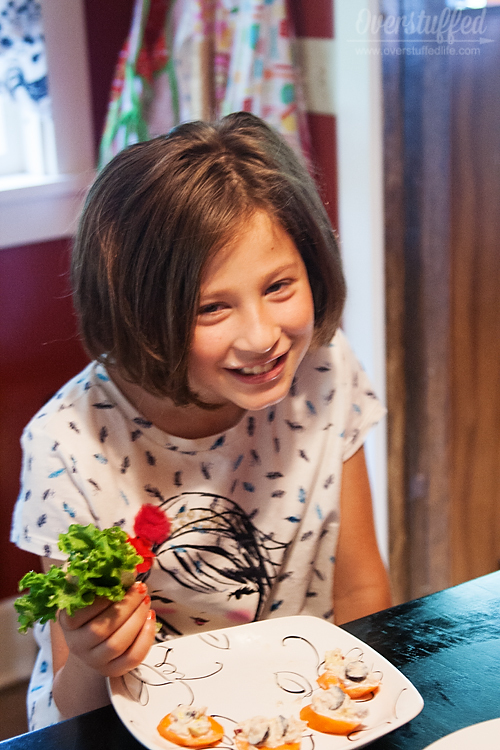 When school starts, it's time for me to start thinking about what to set out for "after day school snacks." (That's what 6-year-old Chloe always called them and the name has stuck at our house!) It's easy for me to just grab something quick, like a cheese stick or a granola bar, but the kids aren't ever too thrilled about that. Not to mention that they always come home famished, and a cheese stick doesn't fill them up. All of that using your brain in school makes you hungry! So I try to come up with things that are fun for the kids, healthy, and that will tide them over until dinner time. Oh, and at our house it also has to be gluten-free. I like tuna because it is all of those things. It's naturally a gluten-free food, but it's usually served on bread or crackers, so I have had to find some other ways to serve it. 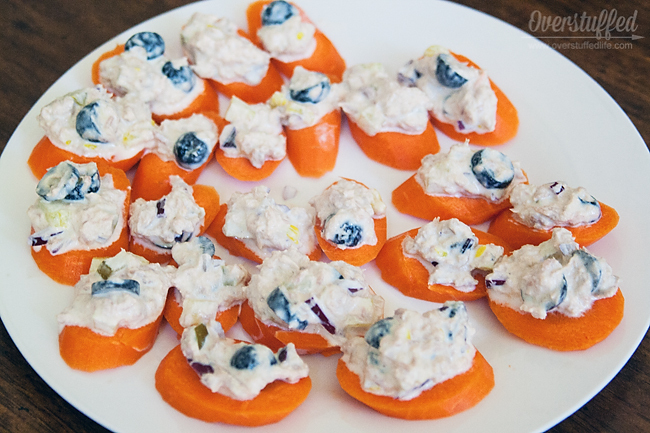 These Tuna Carrot Bites are a huge hit at my house--I even heard The Maestro say they were "to die for." And coming from a foodie like him, that's high praise. 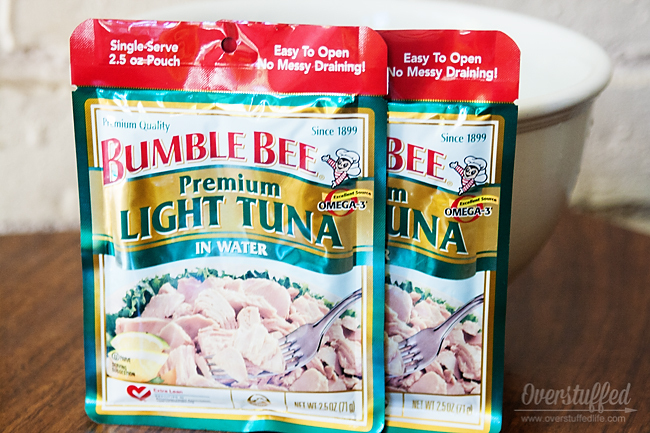 I started with two 2.5 ounce pouches of Bumble Bee Tuna. I like the pouches because they are easy to open and I don't have to bother with draining the can. Of course, my dog will tell you that she prefers the cans because then she gets to lick them clean afterward. Either way, though, start with about 5 oz of tuna. 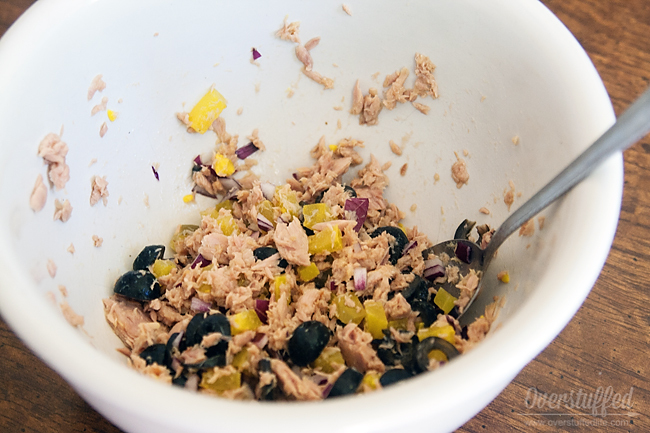 Add the olives, pickles, and red onion to the tuna and mix well. Then add mayonnaise. My girls like it to be more mayonnaisey, so I used 1/2 cup. I personally like it to be less mayonnaisey, so if I were making this for me, I would probably only use about 1/8 cup. 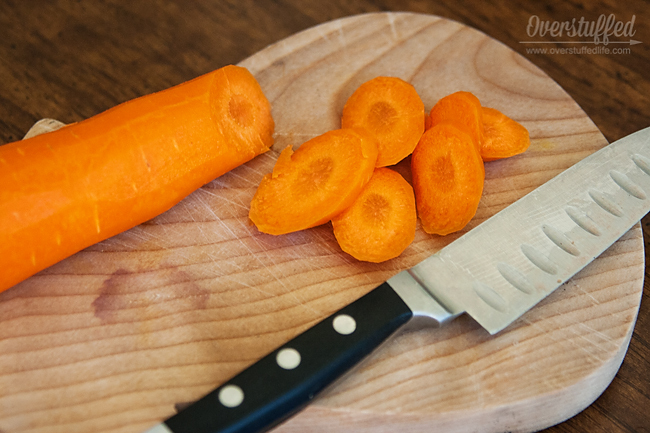 Start slicing your carrots on the diagonal so you can get the surface area as large as possible. 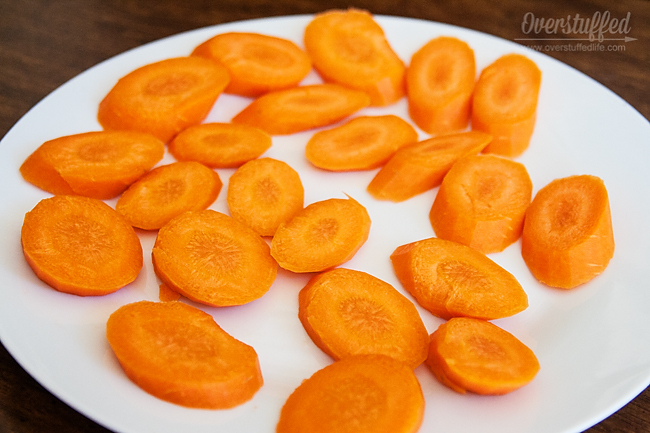 Once your carrots are sliced, add a small spoonful of the tuna salad mixture onto each carrot slice. That's all it takes! The hardest part was cutting vegetables, but this after school snack only takes me about ten minutes to make from start to finish. I had a little bit of tuna left (I didn't have enough fat carrots on hand yesterday! 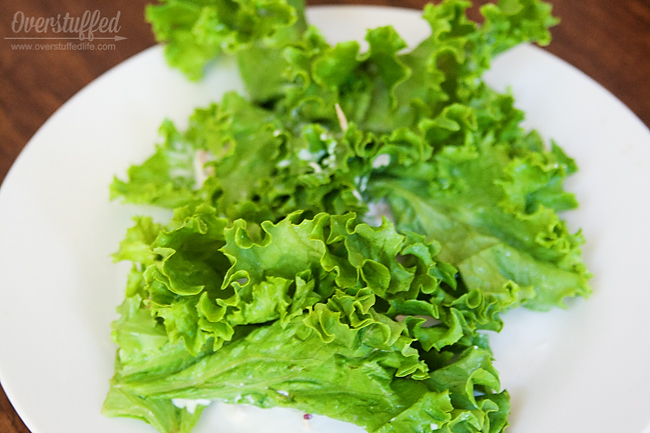 ), so I just made a few lettuce wraps, too. 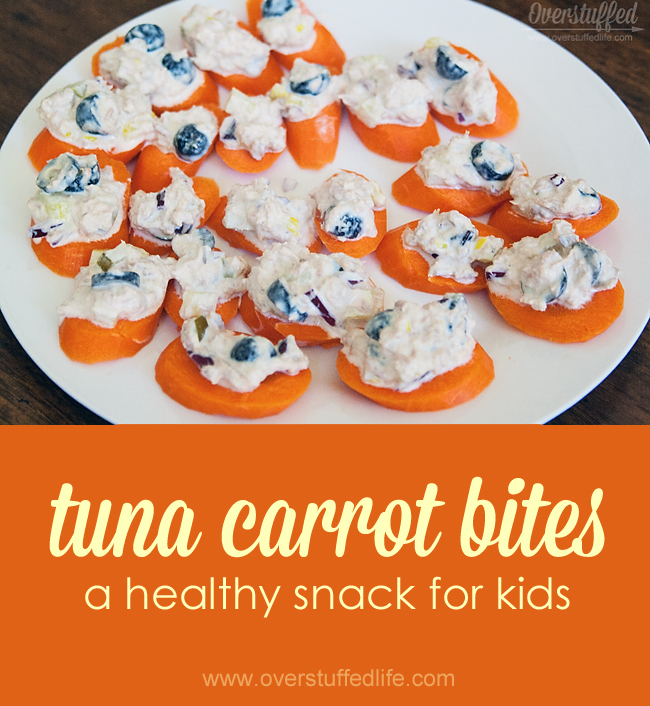 My girls love both the Tuna Carrot Bits and the Tuna Lettuce Wraps. Sophia comes home from school about 30 minutes before her sisters, and she is definitely my hungriest child! She would have eaten all of them if I didn't make her save them for the other girls! I love having snack time right after the kids walk in. Not only does it get some food in their bellies, it is an excellent time to talk to them and find out how their day went. Especially on the very first day! Never thought of using black olives. Looks yummy! My daughter would LOVE these! Great idea! My girls love tuna. I am sure neither one of them have thought to eat them on carrot slices before. I will have to share this recipe with them. Love this snack idea. We will use it, although I rarely do any of the food in this house. That's my husband's job these days. This would interest him though. Thanks so much for sharing.